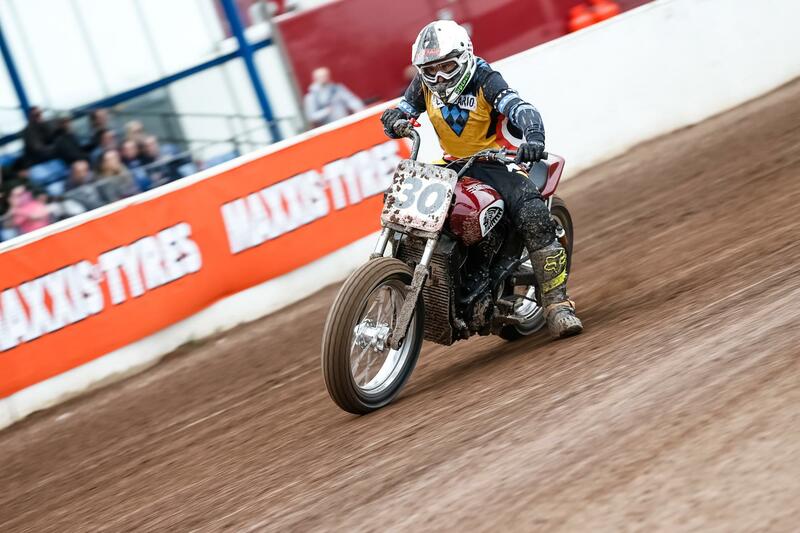 The 2017 DTRA Hooligan Championships continued in spectacular fashion at the MCN Festival of Motorcycling at Peterborough Arena on May 13-14. 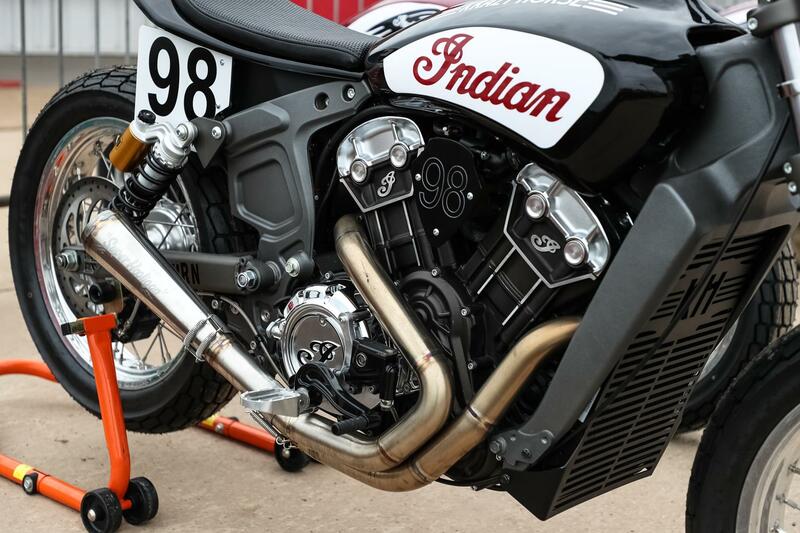 The second event in the series, which is brought to you by Harley Davidson, Sideburn magazine and the DTRA, featured two races on each day of the weekend’s racing. 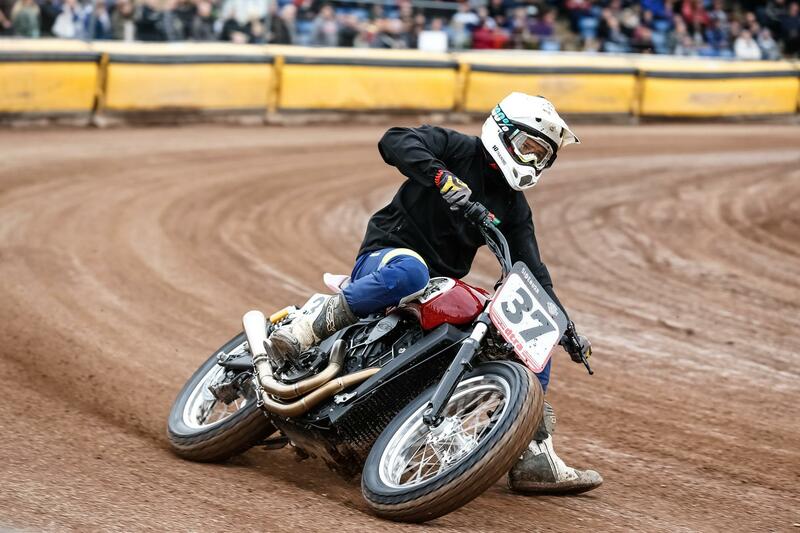 The racing is different to regular tracking with racers riding weird and wonderful bikes that are post 1980 twins 750cc and above. The bikes have unmodified frames, the front brake disconnected and no knobbly tyres are permitted. 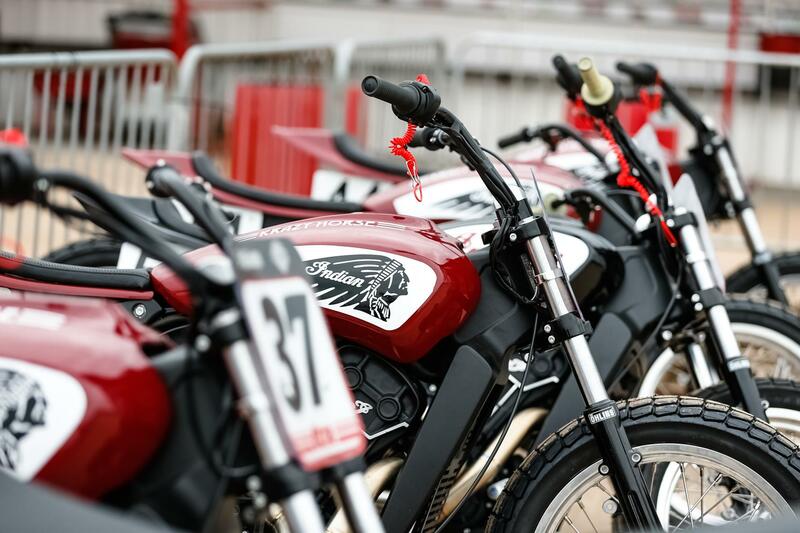 As a result, there was an eclectic mix of bikes on the start line. 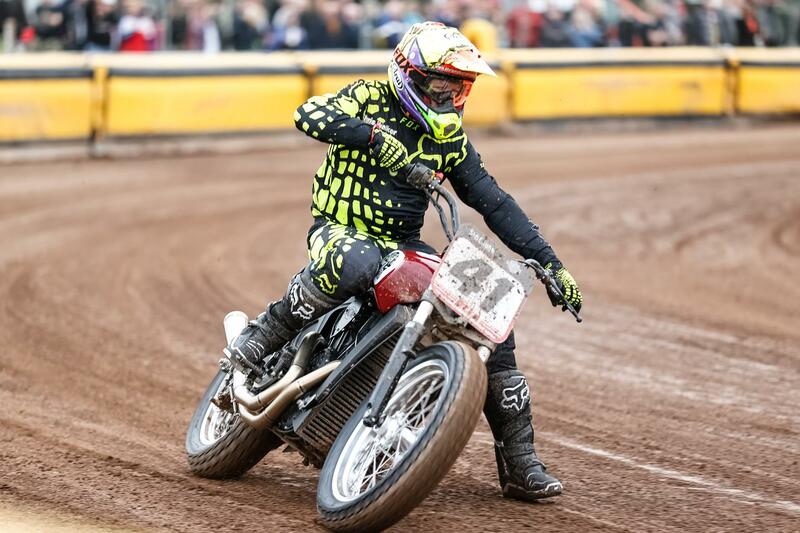 At Saturday’s event Johnny Lewis, a flat track race star from the USA, was on top form in the Hooligan class that was restarted following a crash. The Floridian led the way with Britain’s Gary Inman second and Ross Sharp third. Out front Lewis rode a classy race to take the win. Behind, a fast charging Ferran Mas Saenz from Spain moved through to take second with ex British Superbike racer Chris Walker showing his skills as he moved through to take the final podium spot on the last lap. 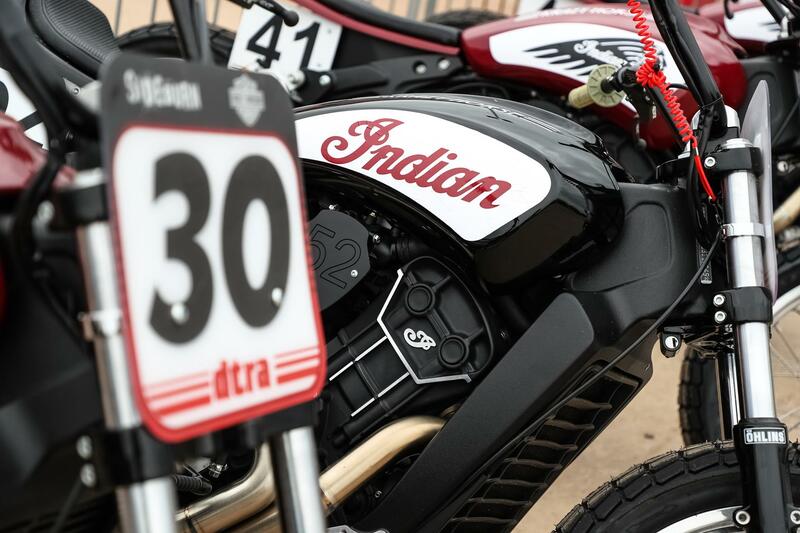 It was all change in Sunday’s Hooligan class with several new entries and few deciding to sit things out. 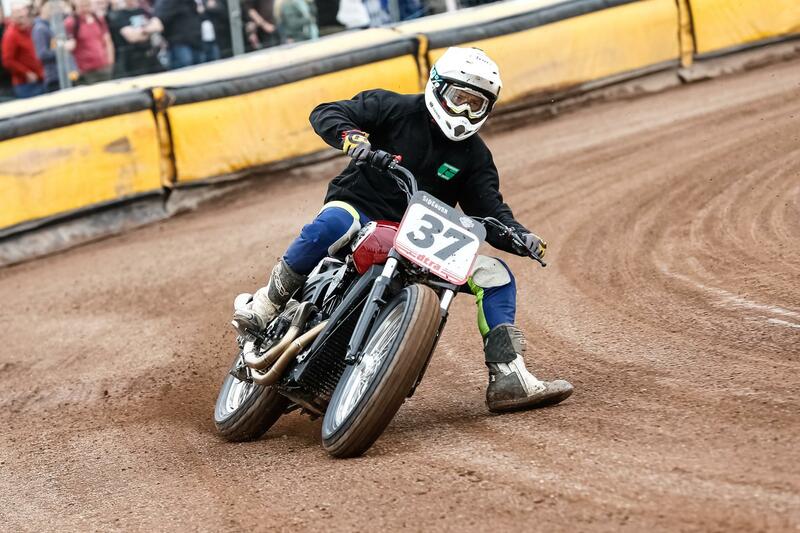 Speedway star Kevin Doolan showed his pedigree on any bike as he got a flying start in front of the large crowd that had gathered to watch. 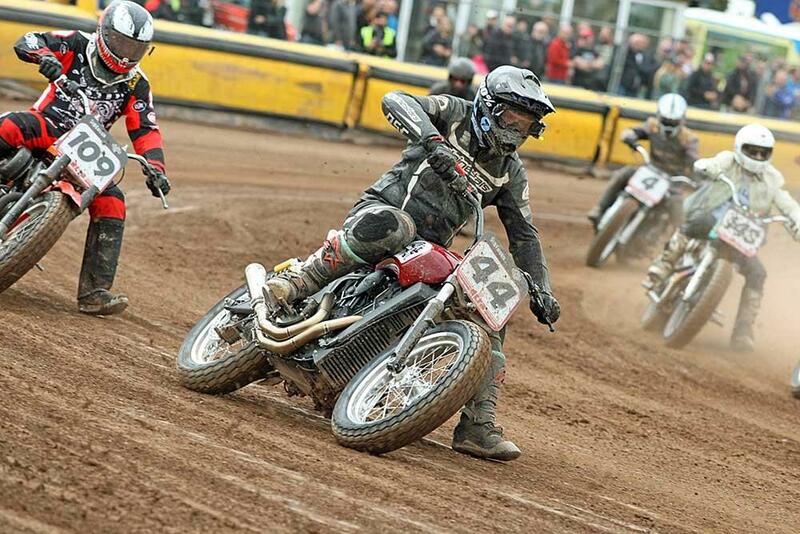 Doolan stayed out of trouble up front to take the win. Behind, Walker was back on form and went one better as he rode to second. In third place Mas Saenz managed to hold off fast charging Inman and Sharp for third. Full gallery of all the Hooligan action. 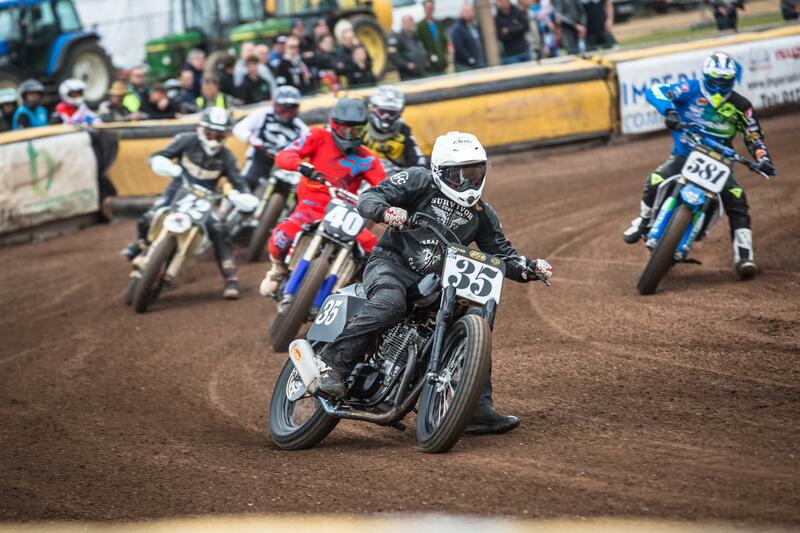 Round three of the Hooligan Championships will take place at Greenfield Dirt Track on June 10-11.